Papa John's Founder John Schnatter is seen here promoting Papa John's Super Bowl XLVII Coin Toss Experience, Thursday, Jan. 31, 2013, in New Orleans. 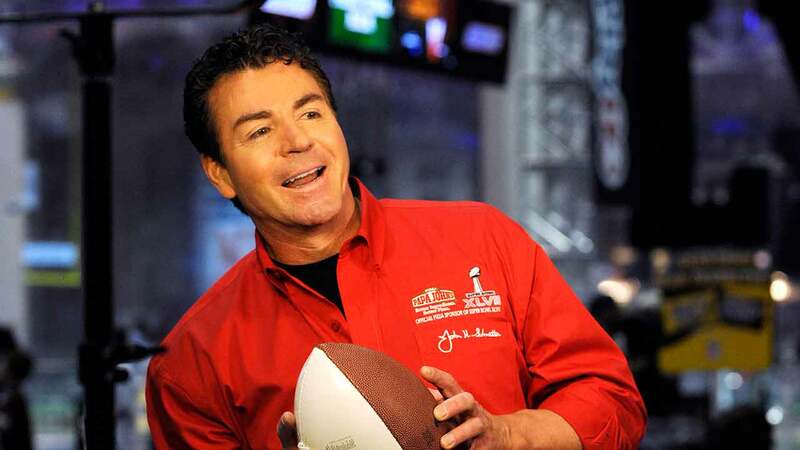 Papa John's founder John Schnatter will step down as CEO next month, about two months after he publicly criticized the NFL leadership over national anthem protests by football players - comments for which the company later apologized. Earlier this year, Schnatter blamed slowing sales growth at Papa John's - an NFL sponsor and advertiser - on the outcry surrounding players kneeling during the national anthem. Former San Francisco 49ers quarterback Colin Kaepernick had kneeled during the national anthem to protest what he said was police mistreatment of black men, and other players started kneeling as well. Schnatter, 56, founded Papa John's more than three decades ago, when he turned a broom closet at his father's bar into a pizza spot. And it has since grown to more than 5,000 locations. Schnatter has also become the face of the company, showing up in TV ads with former football player Peyton Manning. Schnatter stepped away from the CEO role before, in 2005, but returned about three years later.